Vibia’s latest collaboration introduces a new category of lamps, one that merges a floor lamp with a suspended pendant lamp to become the floating North Floor-Pendant. 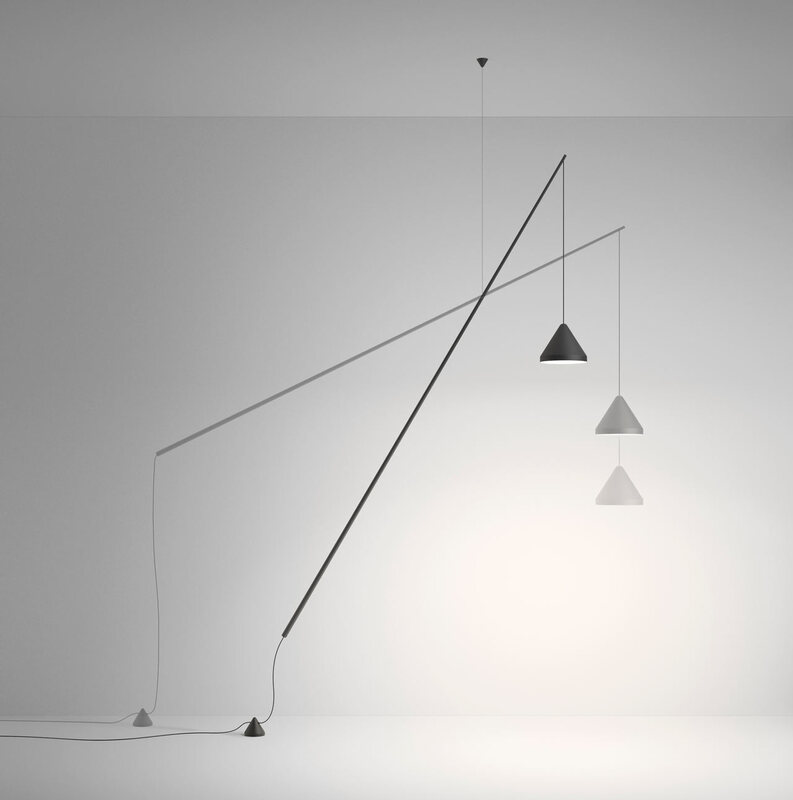 Designed by Arik Levy, the lamp hangs from the ceiling via an almost invisible steel cable with a counterweight on the floor to keep it in the desired location. The conical shade can be raised or lowered depending on the length of slack in the cable from the end of the pole to the matching conical weight on the floor. Since the lamp hangs from the ceiling, the light can be rotated around, transforming the look of the fixture and moving where the light shines. While each fixture has a minimalist feel, it makes for a striking piece, almost like an angular sculpture suspended from the ceiling. The North Floor-Pendant features an LED light source and comes in four finishes: matt white, cream, blue, and graphite lacquer.